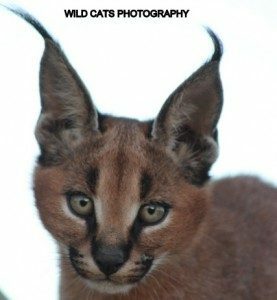 When our ambassador caracal Leo, born February 2012, was as small as on the enclosed picture, he would already come over to the Netherlands to keep our late female caracal Nina company and be a couple. 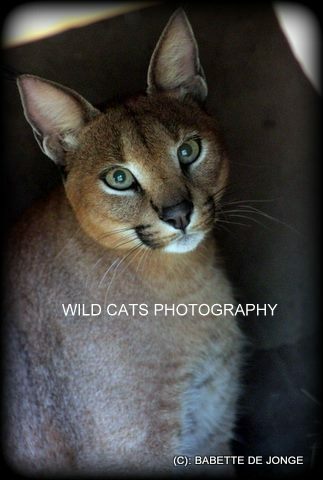 However, it took ages to get the necessary import permits, so we just stopped the whole process as we could get a male caracal from France instead, born in a zoo and they would bring him over in October 2012. 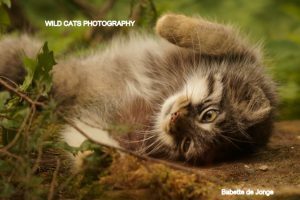 Sadly our Nina died after having been intentionally injured at the sanctuary Stichting Leeuw in the Netherlands twice, so we decided to stop our work for the cats in Holland and only concentrate on the real thing: our projects in South Africa, such as the Spotted Cats Conservation Project of which the caracal project is part. We thought it would be the right thing to keep Leo at the “Spotted Cats Conservation” caracalproject instead, to keep female Lea (DCP) company. Sadly also the permits in the Eastern Cape do take ages, so in the meantime we are almost a year further, and also Leo has become a big boy in the meantime, but if all goes according to plan we can have him over in April this year. We will transport him and our young ambassador leopard Félipe from Zanchieta Wildcatfarm to our project in the Eastern Cape. Both cats will await a huge new enclosure and some nice company. 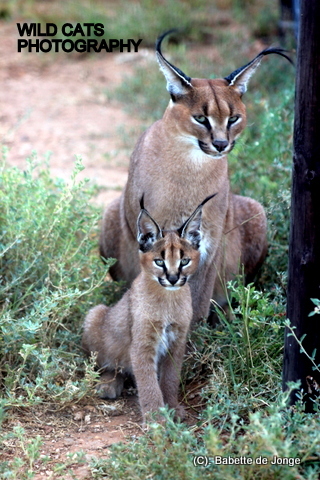 We will keep you up-dated about the transport, introduction to caracal Lea and from that moment on. It is already possible to (symbolically) adopt Leo, like many did before you. This way you contribute in the daily costs we have to give Leo and the other cats the best of care and if necessary medical treatment. 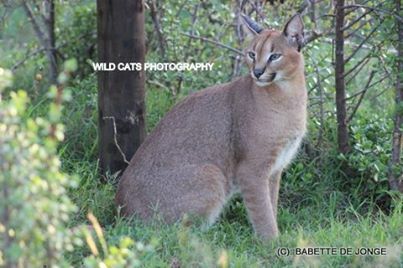 It took some time to get our ambassador caracal Leo at the right spot, but thanks to our representative Jaco Bester he finally arrived safely in his new and permanent home at our project. Resident female Lea was interested from the start and not hostile at all so that gives hope for further introductions. 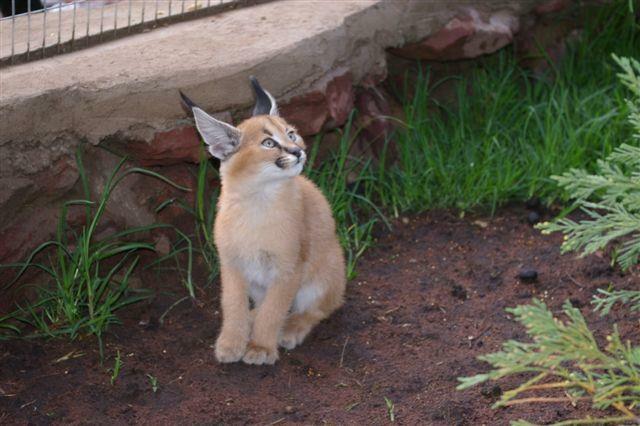 Leo finally arrived at our caracal project in Spotted Cats Conservation, SA. He started exploring immediately. Resident female Lea reacted interested and not hostile so that’s very hopeful for the introduction later on. Early this morning Leo was sitting quite relaxed on the roof of his nighthouse, looking interested to the neighbour female Lea. What a beautiful boy and we are so happy he is finally where he belongs……safe and sound!